I’ll tell you what, internet culture is a fascinating thing. The way in which viral trends can literally sweep the globe in a mere matter of minutes is nothing short of miraculous. Everything from planking, to gangnam style, to the ice bucket challenge, to KiKi-ing, to the mannequin challenge…it seems like every couple of months, a new craze is flashing across our desktops, each one more ridiculous than the next. Well, if you’ve spent any time online in the last week, you know that, yet again, another fad is making the rounds. This time, originating on ye olde Book of Faces…The 10 Year Challenge. And while some conspiracy theorists are saying that this is just a data mining ploy for facial recognition software advancement, you can’t deny: there has been some pretty premium content, as a result. I mean, some of the photos celebrities are posting are pretty priceless. But I’m going to be honest: sitting here as a young woman, who has been in recovery from anorexia for ten years now — looking back at old photos, and going back to that time — it’s a painful exercise. Because even though my recovery is thriving, and I am embracing the abundance of joy and life that God is calling me to, there is still a lot of pain in my past. And even though I have been forgiven and freed, looking at it — literally in the face — is not something I want to do, let alone blast on the internet. But, of course, as often happens, my curiosity got the best of me, and I found myself one chilly weekday night, scrolling through my private Facebook albums, hidden in the dungeon under lock and key, and looking at my photos from ten years ago. And it wasn’t fun. I’m not going to sit here and tell you that, Oh, I had this earth shattering experience that resulted in me billboarding it across social media that I LOVE ME! Because…no, that didn’t happen. The fact is, the photos I saw – they were of a girl, fresh out of inpatient treatment, and in the midst of a relapse. Relapse is a really scary word, that I don’t often talk about. Probably because of my struggle with pride, but I hate to admit that I “failed” that first round of recovery. Or maybe because I’m afraid that people will think I could relapse again. I don’t know. And to that end, I will just say that, I think that relapse is nothing to be ashamed of. Recovery is a marathon, and a journey. And I personally believe that relapse is part of the process. You’re going to have hiccups and slip ups, but that doesn’t mean that you’ve failed. It means that you’re trying. And getting up the next morning, and rededicating yourself to your recovery is part of the growing process. My relapse, it was more than just a hiccup. It was an entire semester of my first attempt at college in South Carolina, where, arguably, my anorexia gripped me tighter than before. And not only did my weight and health plummet, but my hair fell out again, for the second time. So looking at those photos of my hairless, hurting, self, I felt a sense of deep sadness, for the destructive life that girl thought she deserved. There is so much more to my story, than can be captured in a stupid Facebook post of my two photos pinned, side by side. There is so much life that was lived. So many lessons learned. So much growth that occurred between those years that no photo could ever, ever be able to capture. I feel like I have lived a thousand lifetimes in that 10 year span! The woman today is a result of the challenges and trials I went though – The relationship I established with our Father – The surrender to His plan – The plodding and trudging through the mud of hard work that is recovery. 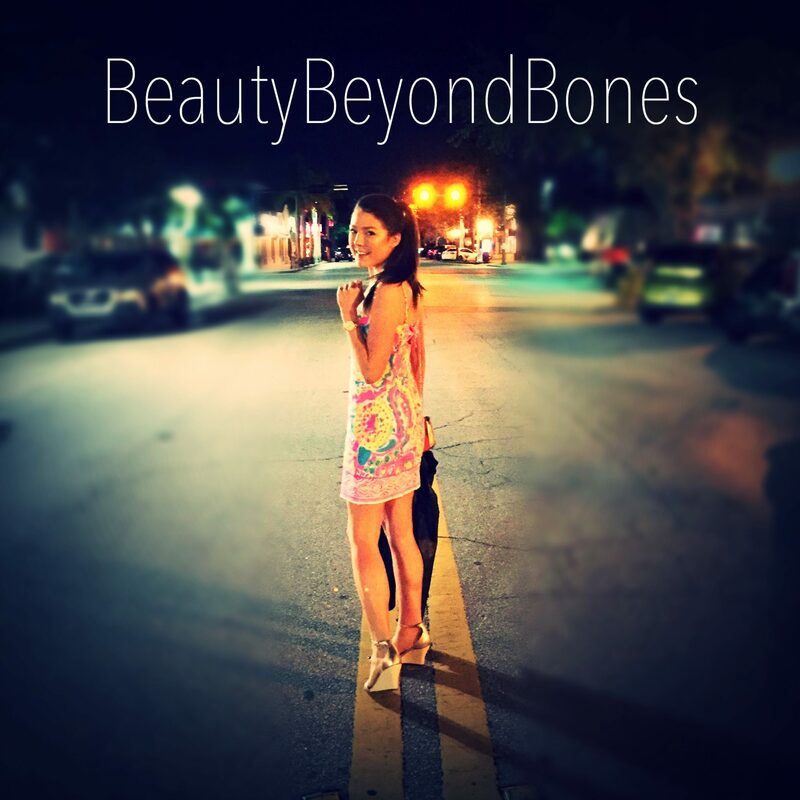 In that ten year span, I had the incredibly difficult task of restoring my then osteopenic, severely malnourished, and nearly destroyed body. The road to becoming the healthy young woman I am today – was a long and arduous process, that only through Jesus’s help was I able to do. In those then years, I’ve learned how to take care of myself. Not only have I fallen in love with nourishing my body, but I’ve adopted a therapeutic diet that has healed that Ulcerative Colitis, and I am now in my 7th year of remission, symptom and medication free. And I’ve found peace with my story! And have embraced it to the point of sharing it with others in a book, with the hopes of helping even one person. None of those things can be seen in that photo of a sick, hopeless, and terrified girl who is hiding behind a smile, and hanging on for dear life. And most importantly, none of that growth could have been possible, without one very important person: Jesus. It was only until I gave my recovery to Him, and surrendered all my fears and anxieties into His hands, that I left the eating disorder – and the desire to relapse – behind for good. It was His comfort – His strength – His guidance that I clung to in those moments where I felt I could not go on another day. I young woman I am today: she’s a fighter. She’s an overcomer. And together, with Jesus, we’ve clawed tooth and nail to emerge from the pit of hell I was in, depicted in that photograph. There is nothing I will face today, that Jesus & I cannot get through, together. You, too, friend, are more than your photographic history. There is a depth to you that cannot be captured in an image, because you are a dynamic, soulful, work of art, that is constantly being shaped by the Father’s masterful hands. He is never finished. No story is ever over. It has only just begun. Let’s look ahead to the next ten years, and pray for the transformation that He will facilitate in our lives, one day at a time. Absolutely, thank you for writing a wonderful article! Blessings!! What an amazing post!! You know what? You are a walking miracle! One word came through loud and clear as I was reading this – grace! Some people capitalize it because it is soooooo important. Grace. You are a walking testimony to God’s grace! Hallelujah! That was good, it takes a lot to be able to share like that. You are right also, surrendering all to Jesus and allowing Him to take control, He gives us the strength and help that we need day by day! I don’t know what I would do without Him in control and His strength to go through each day. Thanks for sharing this with us. Powerful statement. Thank you. And yes, Caralyn, you are that woman. Know what? You also were that woman 10 years ago. You didn’t know it or recognize it or want it or whatever else that led you to your trials and that which you don’t want to see face-to-face or on the internet. You don’t need it on the internet to know what you’re made of and what brought you to where you are. Simply be the beautiful and beautifully created daughter of the One true King you are now and know you were also that 10 years ago. Live in triumph of all you have established through “the plodding and trudging through the mud” and know that the love and peace of Christ rests in your heart. Peace Caralyn. How do i order those whitening toothpaste? I love this. And oh, so true. I didn’t participate because it was too painful for me too. In a different way. 10 years ago was before I had cancer. Before I realized my priorities were all messed up. Before I realized how precious life really was. I was a different person then. Not a bad person, but a person who was running full speed to nowhere. God used cancer to change my heart and to teach me many lessons. Reading your story touched my heart. I am so happy for you and so proud of all you overcame. And I am in awe of how powerful God really is, and how He used terrible things like anorexia and cancer to bring us closer to Him. God bless you. May you look back in ten years and see yourself for the strong woman in Christ you have become. Keep sharing your faith — it’s a great testimony! I am so happy that you are here to share your journey to a healthier body and soul! May God watch over you, fill you daily with joy. You are blessed! Your testimony is filled with hope and encouragement sister! God bless you! it’s quite interesting, I was following you with my original blog after you found it and while I had to stop using the blog for personal reasons I still read those I follow including you and lo and behold yesterday you randomly find my recently new blog! I’m curious if it’s something to do with how I tag, just happenstance, or solar flares! I remember all those years ago when I first started following I saw your posts as insightful, personally challenging (in a good way), and naturally very well written. Keep it up! I didn’t do it as the ten year challenge. Mine is more like 4 years, since I moved to Vegas. God loves you, Caralyn! He always has! He does right now! Love your post, Caralyn. We are not on our journey alone, when we have Jesus to help us. All of us struggle with one thing or another. The key as you said is surrender. We let our burdens go and don’t pick them up again. If we fail, we repent and get back up again and let the garbage go and leave it! Congratulations on your journey! Love and hugs! I, too, have changed so much since 2009! I look forward to the fruit of the work God will be doing with me through 2029 and beyond! Be encouraged God has great things in store for you in 2019. I feel it in my bones!!! I can still hear and feel the pain in your words because of the empath side of me and I am so happy you are in a better place today. You were always beautiful and you know that beauty is skin deep and well goes beyond bones. I am glad you are here to share your journey and I wish you only the best for the future, dear strong and beautiful warrior. I love the very last photo you posted of yourself–I think this is what the joy of knowing you are loved by God looks like! Love yourself for who you were then because it brought you to who you are now! Great post. I sometimes tell some of my friends that “The past is a great place to visit, but I wouldn’t want to live there.” It’s such a blessing when you can look at the past and be amazed at how far God has taken you. You’ve been transformed by God from glory to glory. Ooo! Your words are like healing balm for the soul. Thank you for sharing Christ’s light with the world. Lovely and awesome. Thank you or keeping it real, and finding a way to greater depth under superficial things like fads! It’s amazing the way you gave a deep meaning to the superficial ‘ten year challenge’, using the ordinary to bring healing and hope; and of course, attributing all to Jesus. Amazing! Oh, the interwebz! Fascinating indeed, and sometimes flat out dumb. This 10-year challenge is fine, even fun for some. But last few years people simply risked their life unnecessarily just because of the urge to be a part of dangerous challenge acts. I condemn the irresponsible organizers of such. Some young lives got lost, thanks for them. God blessed us with you. Thank you for the article. I’m going to repost it on my blog today. Yes. Wow. My eating disorder started the summer of 07, and when the 10 year mark of that hit I was in the middle of graduate school to be a counselor. Now I’m a licensed counselor, and, despite running vigorously from the eating disorder client population due to my own fears of inadequacy, God kept leading me back and nudging me towards greater understanding of the clinical need for me to work in that arena. He healed me to do His work and I am now so full of life and fulfilled by that beautiful work I get to do. God does lots of powerful things in 10 years, and you’re right, before and after photos rarely show all the hills and valleys in the middle. Praise God for redemption. Keep writing! I’d love to connect with you if you’re ever in Texas. My friend, what a lovely, strong article. It reminds me of the old adage that the dash between years on a tombstone is a poor receptacle for the life that was lived. Only a select few ever really knew what went into that dash. 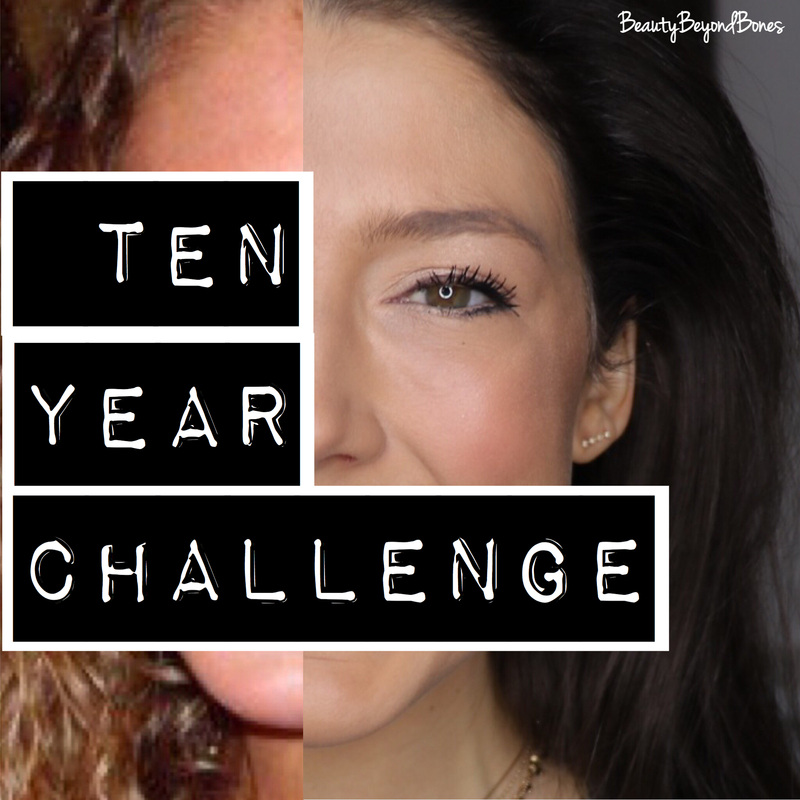 Your ten year pictures and the dash between now and then is something that thousands…TENS of thousands…can know a lot about and benefit from. The dash on a tombstone commemorates the life now gone. The dash between your pictures celebrates the battles won, the glory of God that is the light in your heart. It looks forward to the life still to be lived and the battles yet to be won. #200th like! This is a very well-written post. You have a real talent. I think your message is fantastic in this post. Have a blessed day! Once again, another powerful, encouraging, insightful. You are such a light, Caralyn! Enjoy your weekend! Thanks so much for sharing your story — I was reading my old journal this weekend and struggled with many things 10+ years ago as well that God has made new! Sometimes remembering the darkness is a way for us to see more clearly how powerful He is and how much He truly loves us and never gives up on saving His children! I pray He blesses you for giving Him the glory! God has given you boldness to tell your story and has also given you beauty from ashes. Yours is a beautiful story of victory. What God has done for you, He can do for others. This was beautiful! Relapse is part of the process. You are so brave to share these pieces of yourself with all of us readers. Hugs. Thank you for sharing your story. It will help those who still struggle to know that recovery is not a straight line, moving up and to the right always. There are many zigs and zags along the path of the line, praying that the good days far outnumber the bad. Congrats on coming so far. It’s safe to say you are an inspiration. aw, thank you friend. God is good. Hey sister, wanted to let you know I nominated you for the Mystery Blogger Award! God bless you! You’re welcome! You are a brave woman and your blog is awesome! God is really using you to help people all over the world. So cool! God bless! I pray your story makes an impact on everyone who reads it. We are all so much more than our histories and saved by the grace of God. You have a beautiful way with words and I’m glad to have stumbled across your blog. It’s these stories of redemption that are meant to be told! I commend you in your journey! I’m in recovery of a different sort but understand the fight just the same! Praise be to God. I am encouraged. Thank you so much for writing this amazing piece. I look forward to read more. It’s a delight for me to have met and gotten to know (a little) the young woman who’s taken such an extraordinary journey, Caralyn. Here’s to the next ten years! A personal, easily readable style, well done for all that you are doing. I’m so happy that you overcame and that Jesus has been with you through your journey. You’re an inspiration to every woman and I hope your book is a bestseller. I, too, did not want to do the comparison on facebook or on any social media platform. I see pain but I also see growth to who I am. No picture can explain that nor do I want it explained in public. I rather see a therapist for that. 😛 As always, you are spot on and I enjoyed your post. This was a fanatastic post! So true – God can transform what seems to be untransformable. I too was in a dark place ten years ago and had no wish to revisit that time. My mother, best friend, and third parent to my children had just had a storke. 38 days later she died after never having regained consciousness. It utterly destroyed me and much of the time that follows that month in the hospital with her is a blur – My children were small 2, 5, & 7 and even still, I could not shake the cavernous depression that gripped me. Ten years later, though the weight of her loss still catches in my throat, threatening to choke me at times, I am stronger. God comforted me and filled a hole in my heart so large I thought it was unfillable. Thank you for your post. By the way – your beauty shines from within and I’m glad to have found your page. Thank you also for reading my humble posts. Love what you said about the 10 years being important for who you are today. Not an easy time but timeless life lessons learned. Thank you so much Ross. Timeless lessons for sure! Well I never took part in the 10 year challenge because I never took many pictures of myself back then and I still don’t … LOL..
Another beautifully written article. I don’t know you, but I am very to happy to see the progress you have made. Never forget that Heavenly Father is aware of all his children. Thanks you for using your gifts to spread positive and uplifting messges. Praise God as you continue to shine the light of Jesus with your journey to others. Yes we the people embracing each new internet craze Its yet to be determine if this is unhealthy or just a faze, are we sinking into an emotional maze. Your story intensifies then indeed clarify what the photos don’t say, in each of us their is a 10 yr story from tragedy to glory but what will never be the same! those two faces with the name. Such a great post. Love your honesty and message of hope. God is using you and your experience so beautifully! I’m sure He will reward you for faithfully responding to Him by sharing with others. You are such a blessing! Be blessed. Just want to say how refreshing your blog is. Nice to hear such purity and freedom from anger in your tone and that of those who leave comments. Refreshing to not hear the vitriol and foulness that are found in so many blogs. Thanks and God bless you and your readers. Absolutely amazing!Thank you for the deep article!